Many sporting activities are being planned as part of the 71st Maine Potato Blossom Festival. FORT FAIRFIELD, Maine — Many sporting activities are being planned as part of the 71st Maine Potato Blossom Festival. The annual horseshoe tournament is at 10 a.m. on Saturday, July 14, at Riverside Park. The cost is $10 a person or $20 per team and the event is hosted by Boy Scout Troop 194. The junior girls softball tournament for players ages 9-12 will be at the Fort Fairfield Middle High School Sports Complex Tuesday, July 17, with recreation department teams from throughout central and northern Aroostook County competing. The rain date is Thursday, July 19. The 3-on-3 basketball tournament, held at the Fort Fairfield Community Center gymnasium, will be played Tuesday, July 17. Teams must register by 5:45 p.m. and the tourney begins at 6 p.m. The cost is $30 per team. Call 472-3882 for more information. The annual youth swim meet involving recreation department teams will start at 9 a.m. Wednesday, July 18, at the municipal swimming pool. The rain date is Friday, July 20. The TAMC Splash and Dash is headquartered at the municipal pool and set for Friday, July 20 beginning at 2 p.m. Registration runs from 12:30-1:30 p.m. and this swim/run event is for ages 8-12. To register, call 768-4008. 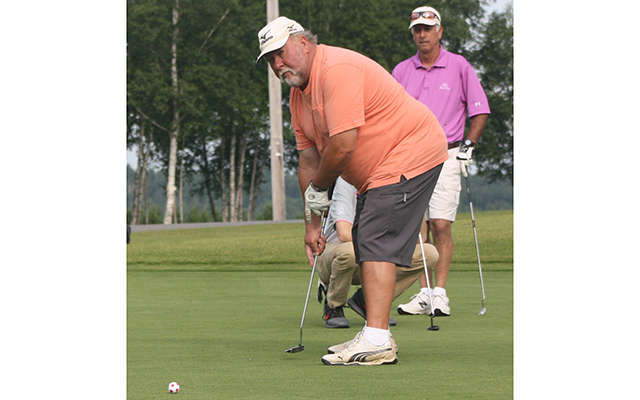 The three-person scramble golf tourney will be played at the Aroostook Valley Country Club on Saturday, July 21. The minimum team handicap is 30. Call 476-8083 to sign up. The annual Potato Blossom 5-Miler road race, at CP Park, begins at 8:30 a.m. for walkers and 9 a.m. for runners, also on Saturday, July 21. Registration gets underway at 7:30 a.m. and the cost is $15. It is hosted by the Fort Fairfield varsity baseball team. The 25-mile Spud Cycle Classic bicycle race and tour will start at 10 a.m. on Sunday, July 22. A 12-mile tour also is offered. Registration is from 8-9:30 a.m. at the Fort Fairfield Community Center. The cost is $15. The race begins at the public library on Main Street and concludes at Hillcrest Estates. The Floatilla of Fun on the Aroostook also is scheduled for Sunday, July 22, beginning at 2 p.m. Canoes and kayaks will depart from Forbes’ Landing and finish up at the Fort Fairfield Boat Landing. Participants need to wear a lifejacket. Canoe and kayak rentals are available through Kayak Country by calling 540-6573.